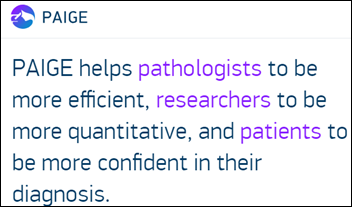 Pathologists at Memorial Sloan Kettering Cancer Center object to a deal under which several MSKCC executives and three of its board members received an equity stake in pathology clinical decision support startup Paige.AI after the health system gave the company exclusive access to its archive of 25 million patient tissue slides. The pathologists say it’s unfair that equity created by their expertise was handed out. Paige.AI raised $25 million in a February 2018 Series A funding round. The pathologists also are expressing concern about sending anonymized patient data to the for-profit company. From Former Healthx-er: “Re: Healthx. CEO Sean Downs and CFO Jim Meer were replaced a couple of weeks ago with guys who seem to travel together to fix broken companies. 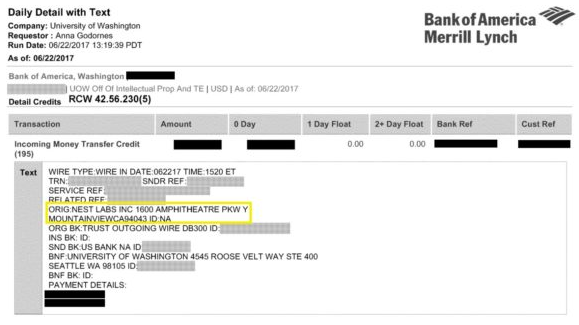 The COO and VP of product were released a few months ago. More than half the account management team was let go last week and cutbacks were made in services, sales, marketing, accounting, product development, and the chief people officer. More layoffs are expected this week.” Unverified, except for the newly announced CEO and CFO. New CEO Gene Cattarino has ridden the CEO circuit for SafeOp Surgical, Capsule, Lynx Medical Systems, Landacorp, Medicode, and TDS. 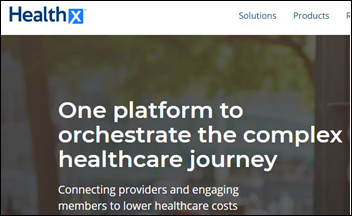 Indianapolis-based Healthx offers a provider-member engagement portal to health plans. Mercy Health (OH) becomes a minority investor in cloud-based medical image management vendor NucleusHealth. The 23-hospital system served as a beta site for company’s cloud-based PACS, eventually developing an image-sharing network across 300 facilities. Ooda Health raises $40.5 million in a funding round that led it to seek out investment partners with strong female leadership (of which there are few). Oak HC/FT and DFJ led the round. The San Francisco-based startup is working with Blue Shield of California to develop real-time claims payment software that will be piloted at Dignity Health and Hill Physicians. Co-founder and CEO Giovanni Colella, MD founded and led Castlight Health and Relay Health. Telemedicine vendor SnapMD raises $7.1 million in a Series B round. InstaMed expands its Philadelphia headquarters with the addition of a 3,200 square-foot Collaboration Center. Town Hall Ventures closes a $115 million fund and makes unspecified investments in payer Bright Health, home health provider Landmark Health, and chronic kidney disease company Strive Health. Town Hall was launched in May by former CMS Acting Administrator Andy Slavitt, Trevor Price (Docent Health), and David Whelan (Rebel Labs) to invest in companies that cater to underserved populations. Details finally come to light about Nest’s secretive 2017 acquisition of Senosis Health, an app-based health monitoring startup out of the University of Washington. Parent company Google put strict parameters around publicizing the acquisition, so as to keep Nest’s digital health plans a secret. The company, which is now part of Google’s hardware unit, has yet to release a healthcare product, though it did throw its hat (unsuccessfully) in the Withings acquisition ring. Reports now suggest that Nest is working on devices to help seniors age in place. Emids names Tim McMullen (NTT Data Services) president and Dan Critchley (Optimum Healthcare IT) VP of its provider business. Tom Niehaus, who served as president since the company’s acquisition of Encore Health Resources last year, will retire at the end of September. The Nebraska Health Information Initiative selects patient identity matching technology from 4medica. St. Luke’s University Health Network expands its CarePort Care Management implementation to additional facilities in Pennsylvania and New Jersey. La Clinica de Familia will implement EClinicalWorks across its 19 locations in New Mexico. Spectrum Health & Human Services (NY) and Reeves County Hospital District (TX) select Cerner’s EHR and RCM technology. Cottage Hospital (NH) will expand its use of Summit Healthcare’s interoperability solutions. Allina Health (MN) implements Vocera software to better connect its nurse call, patient monitoring, and communications systems. Provation develops cloud-based procedure documentation software, including automated coding, for ASCs and hospitals. Wolters Kluwer sold the company to Clearlake Capital Group at the beginning of the year for $180 million. Whitman Hospital & Medical Clinic (WA) goes live on Meditech’s Web Ambulatory EHR with implementation help from Engage. KLAS ranks WebPT as the #1 ambulatory therapy/rehab EHR vendor in both market share and overall performance, with Clinicient and Raintree also performing well. Casamba and Net Health customers say (75 percent and 46 percent, respectively) they wouldn’t buy the product again. As part of its continued effort to pivot from a consumer wearable to a medical device, Fitbit creates an app-based virtual care and health coaching program for health systems, payers, and employers. Lutheran Health Network (IN) brings its IT systems back online after an attempted data breach. Lutheran Hospital diverted ER patients to other facilities during the reboot, which took several hours. Hospital administrators were quick to point out the incident was in no way related to known network stability issues. Lutheran is in the midst of a $30 million IT project that will replace outdated McKesson software with Cerner. A Springfield, MA gynecologist is sentenced to one year of probation for violating HIPAA by giving a drug company sales rep access to patient files. Rita Luthra, MD lost her medical license upon her arrest in 2015, forcing her to close her practice that served primarily indigent patients. Intermountain Healthcare (UT) opens a $20 million Healthcare Transformation Center that will house a Healthcare Delivery Institute, Leadership Institute and Simulation Center, and CHIME innovation center. Hixny’s decision to expand its HIE services into nine new counties in upstate New York prompts HealthlinkNY to cry foul because of overlapping territories. HealthlinkNY Executive Director Staci Romeo believes cannibalizing on service areas will decrease overall data-sharing effectiveness. Both HIEs are part of the Statewide Health Information Network for New York. FormFast will exhibit at DreamForce September 25-28 in San Francisco. LogicStream Health will exhibit at the MSHP 2018 Midyear Clinical Meeting September 21 in Brooklyn Park, MN. Elsevier Clinical Solutions, InterSystems, and Intelligent Medical Objects will exhibit at AHIMA September 22-26 in Miami. Meditech will participate in MGMA18 September 30-October 30. EPSi will exhibit at the HFMA Arizona Fall Conference September 26-28 in Chandler. Glytec customer Honor Health John C. Lincoln Medical Center’s Cardiovascular ICU achieves a silver-level Beacon Award for Excellence from the American Association of Critical-Care Nurses. Allscripts features Healthfinch’s Charlie Refill Management app as its Allscripts Developer Program September 2018 App of the Month. I expect we’ll see more unfortunate deals like the Paige one over the next few years as clinical organizations with good reputations cut deals with AI/ML companies. The AI/ML companies need someone clinical to provide them their training cases, and the executives mistakenly think the data isn’t worth anything since it’s just “sitting there”. Lots of AI/ML companies are getting away with a treasure trove of valuable data very inexpensively.